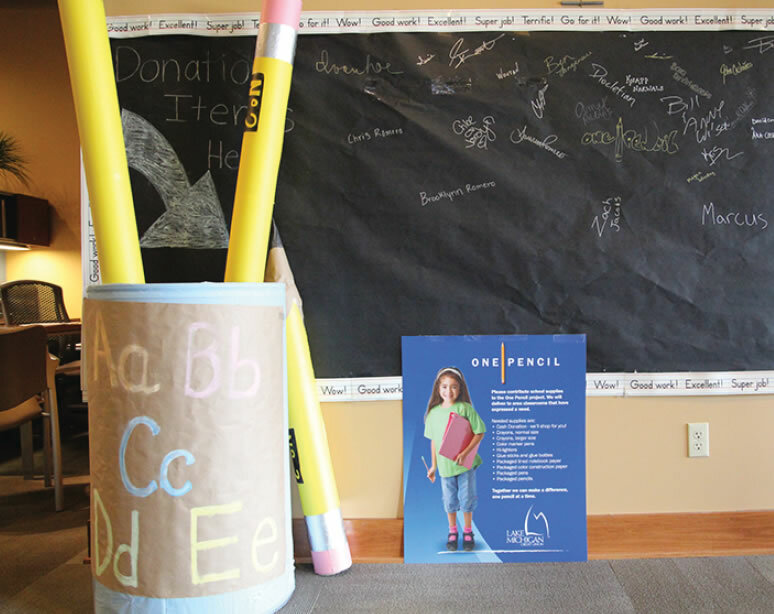 News from LMCU: One Pencil Project 2012-Thank You! One Pencil Project 2012-Thank You! Our One Pencil Project has just completed its second year. We asked members like you to contribute pencils, markers and other school supplies to classrooms and needy students, hit hard by budget cuts. The supplies poured in—wave after wave. Totals are incomplete at this time, but enough is known to call this year’s One Pencil Project a sharply-pointed success! Thanks so much to all our members who generously contributed! Our Knapp’s Corner branch shows their spirit with their creative display.